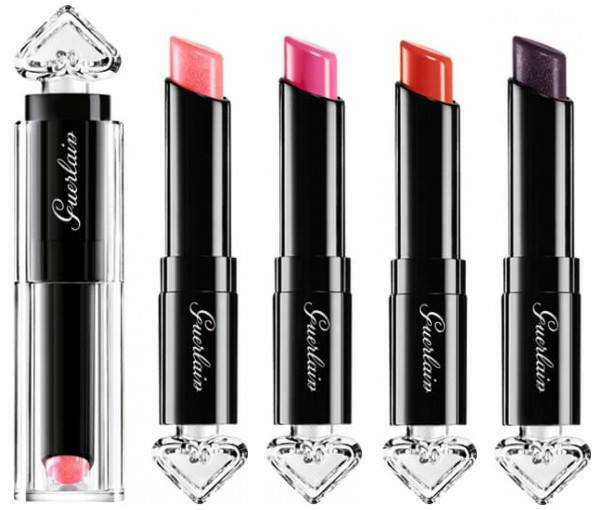 We're suckers for chic makeup and the new La Petite Robe Noire Lip and Nail collection from Guerlain, is not only clever - it's gorgeous to use. Expect Petite Robe Noire Lip, $55 to leave a glossy, lacquer-like finish on lips thanks to the ultra-shiny glaze. Made with a cocktail of hydrating oils and rich 'pop' pigments that are coated with resin, this helps it stay looking fresh for hours. There are 19 shades in different colour families. My favourite the darkest shade, Leather Blazer. And for knock out nails, La Petite Robe Noire Nail Colour, $42. It has the same red fruit and flower petal notes, found in their famous little black dress scent, La Petite Robe, and once painted; the lacquer stays scented for 24 hours - genius. There are nine shades my pick, again go dark with Black Perfecto.